Vladimir Lisin (far right), owner of Russia’s powerful Novolipetsk steelmaking group and one of the country’s richest men, is the choice of Deputy Prime Minister Igor Sechin (3rd from left) for new board chairman of the state shipyard conglomerate, United Shipbuilding Corporation (USC). But a press leak this week of the purported list of Sechin’s candidates for the approval of Prime Minister Vladimir Putin (2nd from right) has triggered a display of counter-punching from partisans of President Dmitry Medvedev (far left). The latter may be just as dependent on oligarch wealth as the Putin faction, but they are not about to go public in an attack on the oligarchs for resistance to Medvedev’s relection campaign buzzwords — competition and modernization. Instead, Medvedev’s supporters have issued statements claiming that Sechin’s candidates do not qualify under Russian law, and that nothing has been decided yet. Sechin is the board chairman of USC, a holding of government stakes in shipyards around the country which have been struggling to find orders and stave off bankruptcy. Initially registered in November of 2008, and comprising western, northern, and fareastern divisions, the corporation was first headed by Yury Yarov, a former deputy prime minister and head of the Severnoye Ship Design Bureau; then by Alexander Buzakov, a former head of two western shipyards; and most recently from November 2009 by Roman Trotsenko. With Sechin’s backing, Trotsenko has attempted to put a stop to the internal financial and administrative troubles of the holding; increase flows of state budget money, including more Defence Ministry cash for new warships; buy more domestic shipyards into the group at discount prices; and attempt takeovers of Ukrainian and German yards as well. Sechin, according to an insider, supervises the day to day running of USC so closely, not even the company logo could be decided without his say-so. 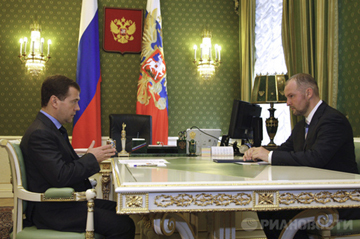 But Sechin is under pressure from Medvedev to leave his post, as are all ministers currently on the boards of state-controlled companies, according to a decree Medvedev issued on April 2. Sechin is also viewed by Medvedev as an obstacle to his chances for reelection as president, and a rival candidate for prime minister, should Putin opt to take the presidency for himself. Diminishing the power of personal enemies and removing political rivals before the presidential nomination is decided is one of the tactics Medvedev and his backers are pursuing while they avoid a head-on political challenge to the Prime Minister. The latest report, appearing in Kommersant newspaper and a Moscow website, is not corroborated by officials allied either with Sechin and Putin, or by supporters of Medvedev. His chief of staff, Sergei Naryshkin (2nd left), remains as chairman of the board at state shipping company, Sovcomflot. There has been no official word from Naryshkin on if, or when, he plans to leave the Sovcomflot board. At USC Trotsenko removed his press spokesman Igor Ryabov several months ago, and since then refuses to respond to questions because there is no spokesman. Like other Russian steelmakers, Lisin has taken control of ports, railways, and fleets of cargo vessels for the priority purpose of securing the flow of raw materials between his Russian mines and steelmills, and the flow of his steel products to their export destinations. Lisin then consolidated his maritime assets into Universal Cargo Logistics (UCL), an Amsterdam-based holding which he has been reported to be planning to list on an international exchange in an initial public offering (IPO). The valuation of the assets, according to UCL spokesman, Dmitry Baukov, is about $2 billion. Baukov says the timing for the share sale is “within two to three years”. Through Lisin, UCL controls port terminals at St. Petersburg and Tuapse (on the Black Sea). The only other Russian port to be publicly listed is Novorossiysk Commercial Seaport Company, which was taken over in January by Transneft, the state oil pipeline company, the Primorsk oil port company owned by Transneft, and Summa Capital, a group of investors close to Transneft. 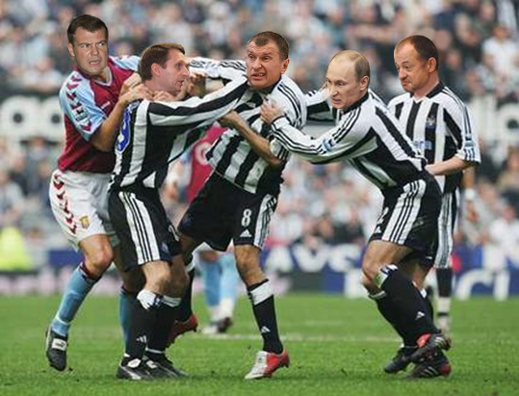 Sechin supervised the takeover. In March, uncorroborated reports suggested that Trotsenko and Lisin were at odds with one another over the former’s desire to build more river-sea class vessels for internal cargo operations. To that end, Trotsenko reportedly wanted to acquire the Oka shipyard, near Nizhny Novgorod on the Volga River, from Lisin. The 104-year old Oka yard launched the first of its new class of river cargo-carriers, the Captain Ruzmankin, last November, with USC providing state budget money for 85% of the financing required, and Lisin adding 15% through the Volga Shipping Company, a fleet operator he owns through UCL. A reliable source close to the matter confirms there have been sale and purchase talks, but there are no active negotiations at present. It appears Trotsenko didn’t like Lisin’s price. Lisin is not in conflict with Trotsenko, the source claims. Recent private meetings between Lisin and Sechin at Pulkovo Airport in St. Petersburg, and on the private jet of Gennady Timchenko, have been confirmed by independent sources. What they were talking about is less well-known. If it’s Sechin’s idea to put Lisin in his chair at USC, giving Lisin apparent authority over Trotsenko, another shakeup in the USC management may follow. But Lisin is rumoured to have ideas of his own for expansion of his sway in the Russian transportation sector, including as potential targets the state-controlled Transcontainer and Freight One units of the state-owned Russian Railways Company, and possibly the state tanker group Sovcomflot. Sechin supervises them all, but until recently he was thought to favour Gennady Timchenko, the Geneva-based oil trader, for their privatization. If Sechin is signalling that he is now leaning in Lisin’s direction, there may be unexpected consequences for Timchenko’s businesses. 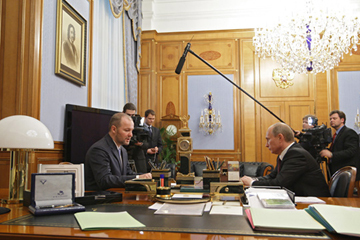 A business ally of Sechin’s this week termed the press leak a signal of “a political shoot-out” between officials close to Medvedev and those aligned with Putin.